For good value, Queens is a great option, reports Citi Habitats agent, Jessica Kaufman, who just helped her clients buy unit #7H at 67-40 Yellowstone Boulevard (pictured top) for $499,000. Located in desirable Forest Hills, the top-floor two-bedroom, 1-bath co-op has a spacious living room and a newly renovated kitchen. “My clients were so lucky to purchase this apartment for the price and obtain the kind of value you cannot get in Manhattan,” Kaufman explains. Her buyers were repeat clients looking to move from The Lower East Side for find a larger space that will accommodate guests — and to eventually expand their family. 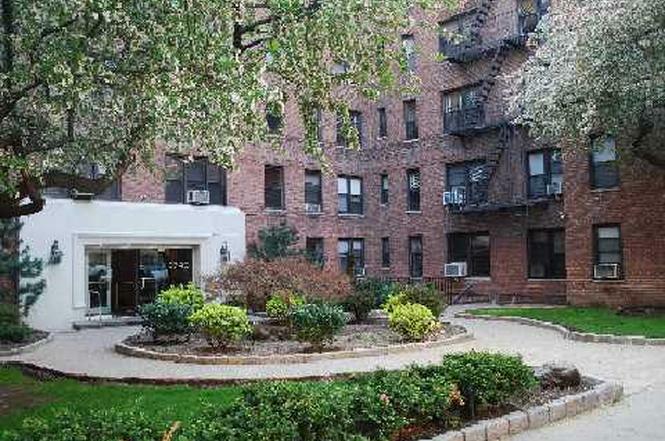 “We looked in Woodside, Jackson Heights and all over Forest Hills and Kew Gardens. The apartment was listed for $529,000 and was on the market for 19 weeks. Boris Mikhailov of DOM Realty of NY Inc. was the listing agent. Corner three bedroom, 3-bath co-op with open city views. Over-sized windows, 25 ft. grand livingroom suitable for both living and entertaining. Windowed kitchen and tons of closets. 190 East Full-service luxury building with a health club, garage access directly from the building, individual storage bins, laundry, bike room, roof deck and playroom. Pets, pieds-a-terre and in-unit washer/dryers are permitted. Asking Price: $995,000. CC: $5,582. Days on Market: 282 Days. Agents: Susan Abrams and Michael Abrams, Warburg Realty. Three bedroom, 2-bath co-op with Central Park tree top views from the living room and master bedroom. Eat-in windowed kitchen. Efficient layout offering comfortable living, dining and entertainment space. Ample storage and closet space throughout. Asking Price: $1,395,000. CC: $1,767. Days on Market: 309. Agents: Ariel Tavivian and Sahar Ziv of Douglas Elliman; John Caraccioli from Halstead Property. Two bedroom unit with balcony facing East. Windowed kitchen with new stainless steel appliances. Columbus Park Towers, offers 24-hour concierge, private garden, bike room, common storage, exercise room, lounge and playroom. Pet friendly. Asking Price: $950,000. CC: $670. Time on Market: 227 Days. Agents: Miriam Cortazzo, Level Group; Ronald Lense, Douglas Elliman. One bedroom, 1-bath unit located on the 43rd floor and offering iconic city views from the east and river views from the south. Entry foyer leads to the living room with alcove dining space. Master bedroom has an en suite bath. Original solid herringbone wood floors throughout. Building has a 24-hour doorman, valet/maid service, resident’s lounge, conference room, gym, pool, playroom and full-service garage. Asking price: $1,495,000. CC: $775. Agents: Michael Johnson and Hayim Nommaz, Corcoran; Andy Li, Chase Global M. Realty. Two bedroom, 2.5-bath unit in boutique luxury condo. Private keyed elevator opens directly into the living room with 11 ft. ceilings, hardwood floors and gas fireplace. Open kitchen has maple Bulthaup cabinets, Wolf cooktop, Miele, Gaggenau and Sub-Zero appliances. Gallery hallway and planted terrace. Fully automated home powered by Crestron, 8 ft. rift oak doors, triple-paned windows, multi-zone central HVAC and a washer/dryer. Building has a 24-hour doorman, fitness room and deeded storage. Asking price: $4,385,000. Days on the market: 182. CC: $2,776. Agents: Steve and Lisa Snider, CORE; Matteo Saggese, Triplemint. Bright and airy two bedroom co-op with 13 ft. ceilings and oversized factory windows. Great room with room for formal dining and living. Updated kitchen has custom cabinets and stainless Bosch appliances. Updated marble bathroom features Duravit toilet and sink. Custom-designed bookshelf. Private storage space and common laundry room. Pet-friendly, elevator co-op in a converted milk factory. Asking price: $999,000. CC: $872. Days on market: 87. Agents: Jessica Buchman and Kristin Miller, Corcoran; Sydney Blumstein and Olivia Ionescu, Corcoran.